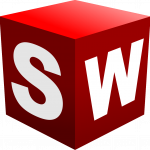 Solidworks 2015 Free Download Latest Version for Windows. It is full offline installer standalone setup of Solidworks 2015. The days when industries hire engineers for designing the objects have long gone and now most of the industries prefer software applications which ensure that the product is robust and will last long. In older days engineers have to analyze the designs and foresee various different parameters of their designs. There are various siftware applications which are intended to designing emphasize more on the analytical aspect like how much the stress your design will bear, flow and many more. You can also download SolidWorks 2011. Solidworks 2015 has been offering it’s services for more than 20 years and since then it has come up in many version. The version under review here is Solidworks 2015. In 2015 version you will see the continuing development of the product. In 2015 version the Split feature has been improved greatly. 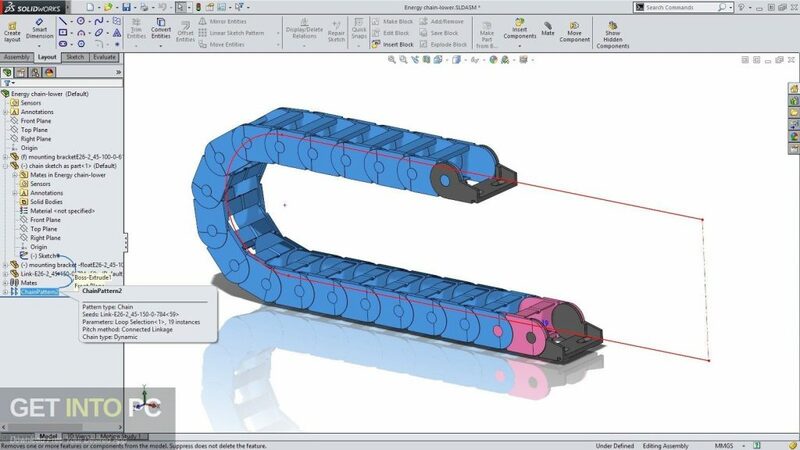 Solidworks 2015 allows you to use the split tool in the same way with the surfaces as you would use it with solids. There are various productivity tools introduced in 2015 version like dynamic reference visualization which provides graphical reference in the feature tree. 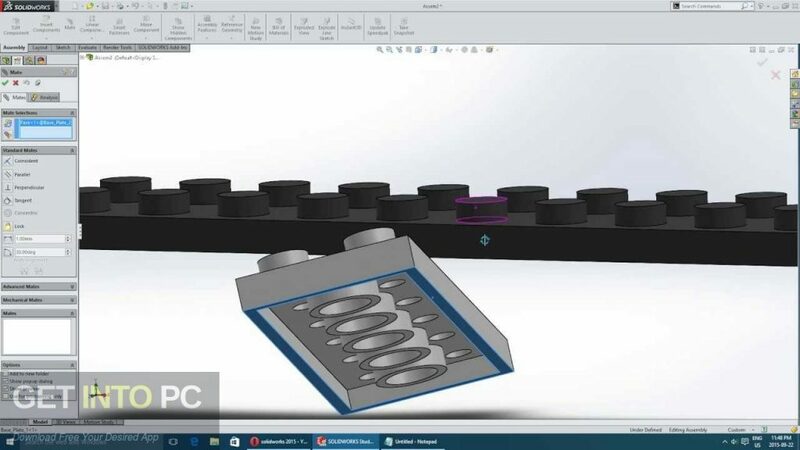 All in all Solidworks 2015 is an impressive application which can be used for designing and analyzing your objects more efficiently. 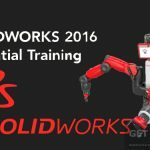 You can also download SolidWorks 2016. 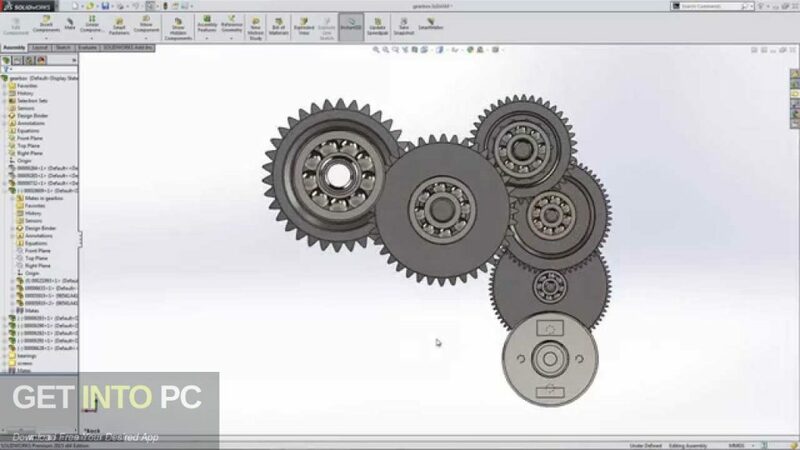 Below are some noticeable features which you’ll experience after Solidworks 2015 free download. Handy application for designing and analyzing your products. Split feature has been improved greatly. 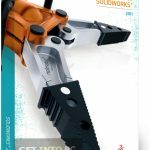 Allows you to use the split tool in the same way with the surfaces as you would use it with solids. Introduced dynamic reference visualization which provides graphical reference in the feature tree. Before you start Solidworks 2015 free download, make sure your PC meets minimum system requirements. Click on below button to start Solidworks 2015 Free Download. This is complete offline installer and standalone setup for Solidworks 2015. This would be compatible with 64 bit windows.